Newton has been a bit hot and cold with me over the years. Additionally, neither of the local running stores I have worked at every carried them. So I haven't had a ton of experience with them. I ran in one of the original Newton Gravity for a while but the lugs really started bothering my metatarsals after about 250 miles. Did they help me run faster? I'm not sure, but they actually took a little load off my left achilles tendon as it was a bit irritated from running full time in Altra shoes for a while. I quickly went back to Altra being a complete zero-drop fan-boy at that time, but always kept my eye on Newton from that point forward. Fast forward to March 2014 when I won a road race and a free pair of shoes from a local running store in Southern California. I was curious about the new 5-lug Newton Motion and decided to give it a try. 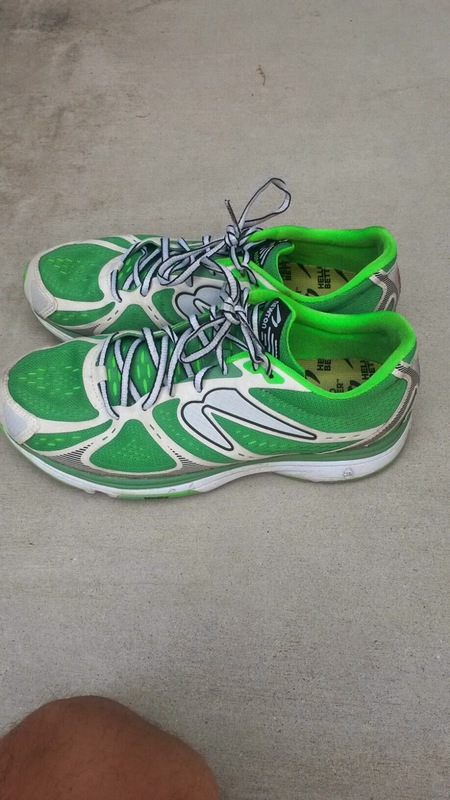 The Motion was quickly exchange for another shoe (another pair of Brooks Purecadence 3s). Despite the shoe feeling more stable with the 5 lug system (and being a lightweight support shoe in general), I found the lugs to be overly intrusive and actually slowed me down quite a bit. I again carried on my way. 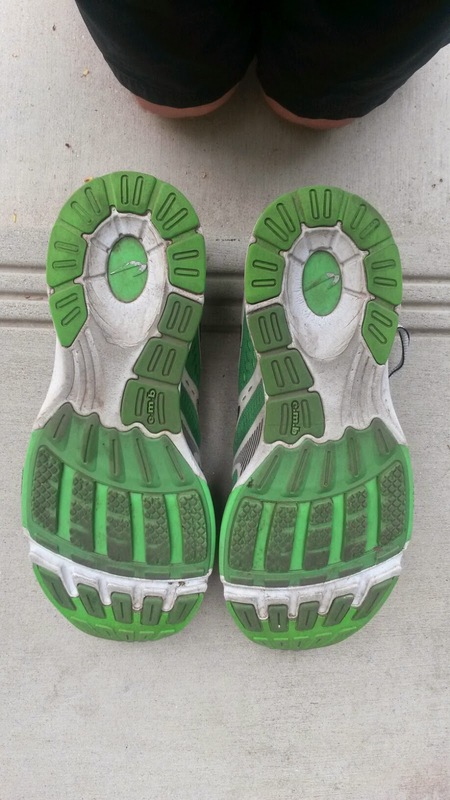 Sole: Obviously with Newton, we have the lugs that are supposed to provide a prioprioceptive cue to help move the runner toward a forefoot strike. Does it actually help? Not sure. Initially they are more annoying until my foot gets used to them. I do however appreciate that they are less prominent in the Kismets as part of the new POP system Newton has recently created. They feature the POP II, which is supposed to be a moderate version of the lugs, as opposed to POP I in the Gravity/Motion (supposedly the most prominent/highest responsiveness the Newton lugs provide). All I know is that they are not irritating my metatarsals as much. Have previous Newtons caused any major injury issues with that? No, however I found some of the original versions to be a bit annoying. With the Kismets, I actually think the Lugs need to be broken in a bit. They have gotten much more comfortable as I've put more miles on them. In fact I'm curious to see how the Kismets feel when the Lugs are worn down completely! What I do like quite a bit about the sole is how Newton has decided to do support. Instead of putting a hard slab of firmer foam on the medial side of the shoe, Newton has simply extended the medial base of the shoe to provide a wider platform. They call this the Extended Medial Bridge or EMB. I am a big fan of this as it not only makes the shoe feel much more stable, the shoe is not forcing your foot into a semi ridge position. This system seems to work much better with my biomechanics and I have not had any issues. In fact the ride has felt really good! Finally, although not super new, we have the addition of a 5th lug on each shoe. I really appreciate this because it makes the forefoot more stable, especially going around corners. I had major issues with that when I was wearing the Newton Gravity a few years ago. The 5th lug lines up better with the metatarsals/phalanges of the foot, which as a Doctor of Physical Therapy student I really appreciate. The old 4 lug system of the Gravity definitely contributed to irritating my forefoot more than necessary as they were putting forces in odd places. I applaud Newton for going to 5 Lugs in all of their models (except the Newton Elite, for which I assume a 5 lug version is in the works). Upper/Fit: This is actually my favorite part of the shoe. The upper is VERY comfortable and may rank among the best of any shoe I've tried. It is almost entirely seamless and can be worn sockless without issue. The biggest thing is it just FEELS high quality and is so comfortable. 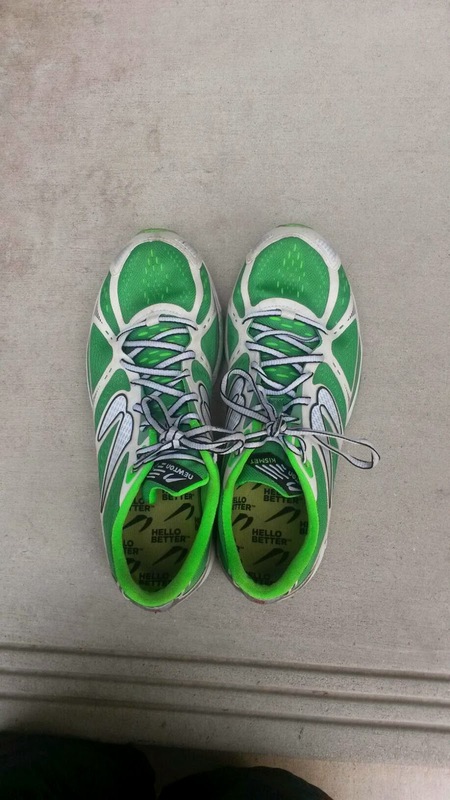 It makes the Kinvara 5 upper seem like a thorn bush (and that's a darn good upper). Newton, I am extremely impressed. I don't remember this from the Gravity and I'm sure I would have. This is the type of upper I would expect out of a $150 dollar shoe and I can say that no $150 dollar shoe I've tried has had an upper this good. Also the toe box is great. Beating out the Kinvara 5 for the perfect amount of space. It's roomy but not sloppy. At no point did I feel like my toes were smashed and every run they were able to just relax. When I briefly ran in the Newton Motion III, the toebox felt slightly too narrow. If that put you off, definitely try the Newton Kismet. It will feel SOOO much better. I do have one issue with the upper and that is the relatively firm heel counter. Newton put some padding there to cushion it, but sometimes when my calcaneus is a bit raw (because I haven't been stretching my calves...) I can feel it a bit. The heel counter has never bothered me for more than a few seconds and 99% of the time I don't notice it is there. Just wanted to mention that. Overall though, that upper... I just can't get over it.... so good (drooling). Responsiveness: The responsiveness is relatively normal. It's not crazy like the Adios series and not horrible like Sequence Boost 7. I have used these for most of my hill workouts in the last few weeks and they have done just fine. That being said they really don't stand out in the responsiveness category, which may also be due to the fact that Newton bills these as trainers and not racers. If you do want an uptempo shoe, the Newton Distance III, Distance S III, Elite or MV3 would be a better choice. 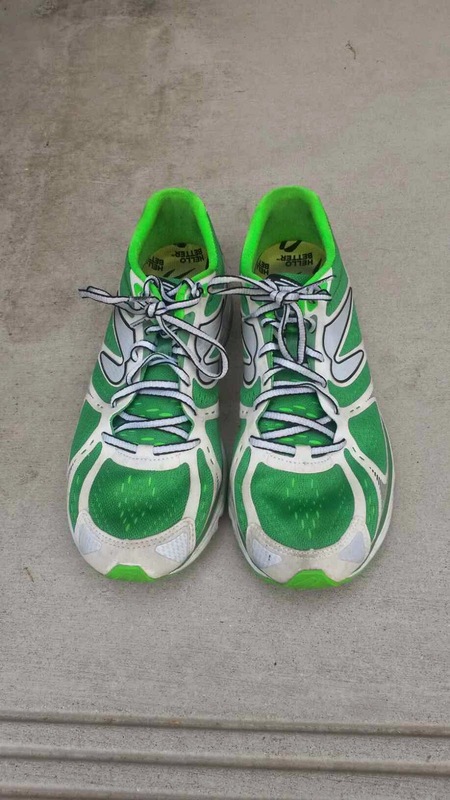 These work best for the occasional workout and long miles. Would they work for intervals? Probably, but I don't start those for another week. They did well on the uphill and downhill repeats so I would assume they would work elsewhere. Heel-Toe Drop/Ramp: Newton lists the Kismet as having a 4.5mm heel drop. I would agree that the shoe feels like a 4-6mm drop shoe, although at times the lugs make it feel lower. Heel striking will make the shoe feel like a 0-4mm drop shoe and forefoot striking will make it feel like a 6mm drop shoe depending on the compression of the 5 lugs. Durability: Previously with the Newton Gravity, I was disappointed with how fast the lugs wore down. With the Kismet, the wear is fairly normal on the lugs, but the rest of the shoe looks really good! And I guarantee that I have been heel striking in this shoe... because that's how I run most of the time. I currently have 130 miles on my pair and they look really good for that mileage. Really the only wear I'm seeing is on the lugs and it is minimal considering that +100 mile use. At this rate I fully expect to get at least 300-500 miles out of them. Since the lugs aren't very important to me, I'm wondering if I can get even more miles! The Newton Kismets are a great deal at $130. For the Newton Gravity at $175? I got 250 miles. That was almost a dollar a mile. Not worth it in my book. I am very happy with Newton's Core Trainer line (the Fate is the neutral version of the Kismet), especially the more moderate pricing. I hope Newton keeps shooting for this price range as they will be able to reach a much wider audience. Weight: Newton lists the Kismet at 9.7 ounces. Having not weighed them, the Kismets do feel lighter than that. If I had to guess it would be 8.5-9 ounces. They do not feel heavy but are definitely more of a trainer/lightweight trainer than a racing shoe (although I'm sure many people can use them as racing shoes). Thoughts as a PT (Student): Newton has done several things well with this shoe. There is ample room in the toebox for comfortable toe splay. There is no major toe spring to speak of. Finally, I do appreciate the addition of the 5th lug. As I mentioned earlier the forefoot feels more stable, especially going around corners (that was a major issue with the 4 lug Newtons for me) and it better replicates the 5 metatarsals/phalanges. To be honest I am undecided on the whole lug thing. It is a great prioprioceptive cue for those wanting to transition to a forefoot strike and it is Newton's defining feature. However, if I've learning anything from the crazy amount of knowledge I've absorbed not only in DPT school but from earlier, forefoot striking has not been proven to be better than heel striking. In fact each one carries there own set of issues. With forefoot striking you are at risk for achilles/calf injuries while with heel striking you are more at risk for knee issues. That statement I made is not backed up by any article I can cite right now, but is from clinical experience. Changing from one to the other simply shifts your injury risk. Each person needs to find what works best for them and where they tend to be injury prone. To me what is far more important than how your foot lands is where your foot lands in relation to your body, muscular strength and balance! If you land with a forefoot strike but are overstriding, you still will have some breaking action! What will most likely protect you from injury is making sure you correct any muscular imbalances and maintaining good muscular strength! That especially applies to the hips! The gluteus medius and glute max are extremely important for generating stability and power! Way more than the calves can produce. So just keep in mind that switching to a forefoot strike will not immediately make you faster. Years of hard and smart training will make you faster. And just because you have a prioprioceptive cue there does not mean your form will change immediately! I still heel strike in the Newton Kismets. Newton shoes will not immediately change your foot strike. It will take some work if you really want to change! Nothing good biomechanically happens immediately. It will take some motor learning and strength changes. Rewiring your neurologic system of movement and gaining strength take time! So be patient. Final Thoughts: The standout feature of the Newton Kismet is how fantastic and comfortable the upper feels and fits. It's by far one of the best uppers I've experienced. 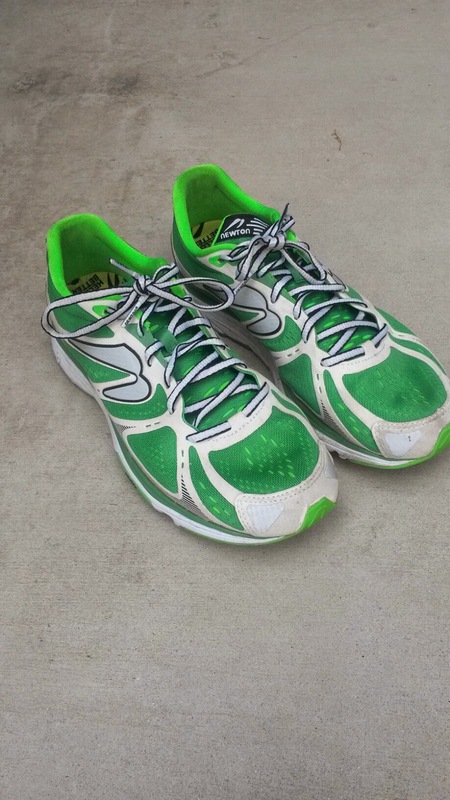 Before this review I did run a few sockless miles in these and it felt really good. By really good I mean I never had to worry about blisters. The fit is also fantastic. Not sloppy (Altra) but just right. 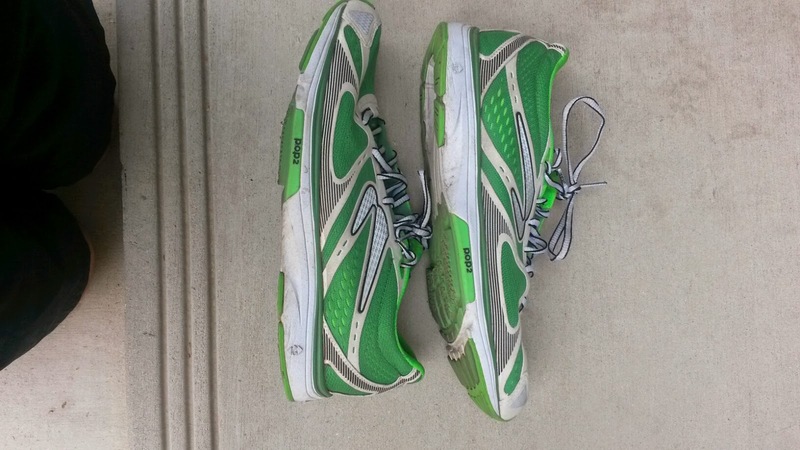 Like I said before, it beats out the Kinvara 5 for fit and I REALLY like the Kinvara 5 fit (check out my review here). Although the 5 lug feature has been around for a little bit with the Gravity III and Motion III (and Newton MV2 before them), I also really like the 5 Lug feature in the Kismet. The combination of the very natural extended medial bridge and 5th lug give it a stable ride that is never intrusive. Definitely a light support shoe that is borderline neutral. I again want to applaud Newton on the EMB route for providing a stable ride instead of an intrusive controlling one. I hope more companies learn from them. As for the actual lugs, they can bother me a bit at times, but I like switching between shoes. This is the first Newton shoe I've worn in a while, so maybe I'll get used to them. They do provide nice prioprioceptive cues in regards to footstrike, but like I said earlier, footstrike is pretty far down on my list of really important things for good form. So overall I really like the Newton Kismet and will continue to train in them. I'm curious to see how many miles I can get out of these and will let you know when they go for their last run. These shoes were a personal purchase and I put at least 100 miles on every pair of shoes before I review them (except racing flats which I put on at least 50 miles). Currently I have 130 miles on my pair. *Images obtained from my own phone for once!!. Go down to your local running specialty store to check them out!